Indian Bank Car Loan: 9.50% Interest Rates ✓ Eligibility Low EMI Rs.1634 ✓ Processing fee ✓ Documents ✓ Loan for women, NRI, Pensioners, Used / Second hand cars at Deal4loans. Salaried class, Professionals, Businessmen, Self employed persons, our Staff, NRIs*and Pensioners. Employees of other banks with NOC from employer concerned with minimum 3 years service / experience. For Salaried Class: 20 times of Gross monthly Salary (Income of spouse may be included). Net Take Home Pay after deducting proposed Loan EMI, must be ensured at 40% of Gross Pay. For professionals and Businessmen: 20 Months Income – to be calculated based on their average income earned in the last 2 years and Capacity / ability to repay the loan. 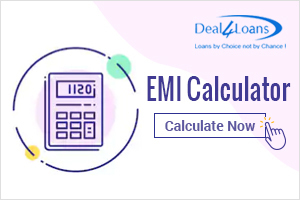 Indian Bank car loan emi calculator helps you to know how much emi per month you have to pay against the loan taken for purchasing the new car. 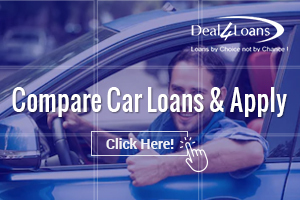 you can select or choose the right loan amount as per your financial condition and it helps you in selecting the car variant as per your paying capacity of EMI. For calculation you have to just select the right loan amount, Interest Rate and Repayment period. Four Wheeler: Maximum 84 EMIs (No holiday period) for salaried class individuals; Maximum 60 EMIs (No holiday period) for others. Completed Application Form with passport size photograph. Proof of Identity such as PAN Card / Voter’s ID/Passport/Driving License. Proof of residence such as Recent Telephone Bill / Electricity Bill / Property Tax Receipt / Passport / Voter’s ID. Proof of business address in respect of businessmen / industrialists. Balance Sheet for the past three financial years in the case of Professionals, Businessmen & Self employed. Income Tax / Wealth Tax (if applicable) Returns for the past 3 years.